US Charge d’Affaires Thomas Goldberger visited the city of Minya this week to celebrate the Fulbright Commission's 70th year in Egypt. Goldberger and members of the embassy team met the president of Minya University, Dr. Mustafa Abdel-Nabi Abdel-Rahman, and his senior team, and attended a reception with students at the Minya University’s Museum of Fine Arts. The event highlighted Fulbright’s active art and humanities portfolio in Egypt. 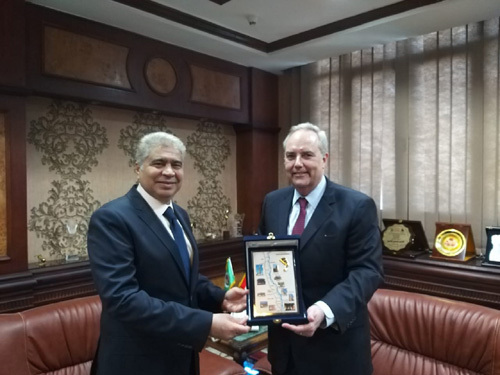 Goldberger also met the governor of Minya, Qasim Hussein, at his office and highlighted the US support for Egypt. They discussed political, economic, and social developments in the governorate, which has nearly 6 million inhabitants. There are a number of US embassy initiatives in the governorate, including assistance provided through USAID in the agriculture, water, business, tourism, and health sectors, as well as an active English language teaching programme for high school students, and other cultural and people-to-people exchanges with the United States. 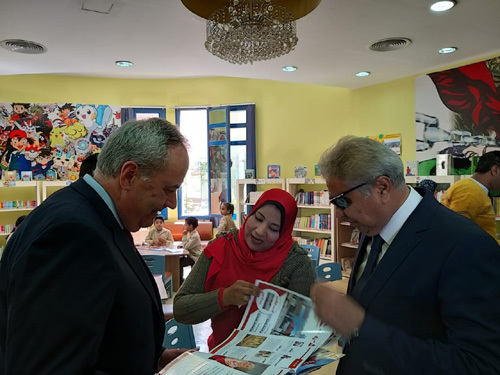 Goldberger and Hussein visited a local library and met with graduates of the ACCESS English language programme, which has provided two years of supplementary English language learning for thousands of high school students throughout Egypt. 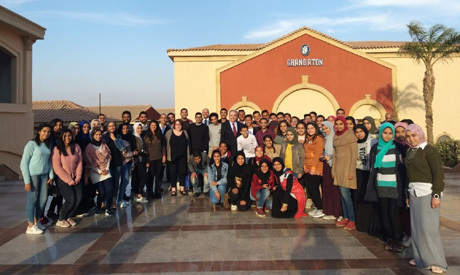 “Me and the embassy members very much appreciate the warm welcome and support from the people, university, and officials of Minya during this important visit,” said Goldberger at the end of his visit.